In New Zealand, the Canna lily 'Tropicana' was one of the first well known foliage cannas to be offered in the plant retail market. I refused to buy, as a matter of principle. Two years ago a gardening friend asked if I'd like a small free plant. Of course I said yes. Canna lilies are late to grow here in my garden. Their leaves are not fully formed until mid-summer, and the flowers are at their best in early March. I lay straw over them in winter - I'm not totally sure how frosty it will get in their locations. I'd hate to lose any. 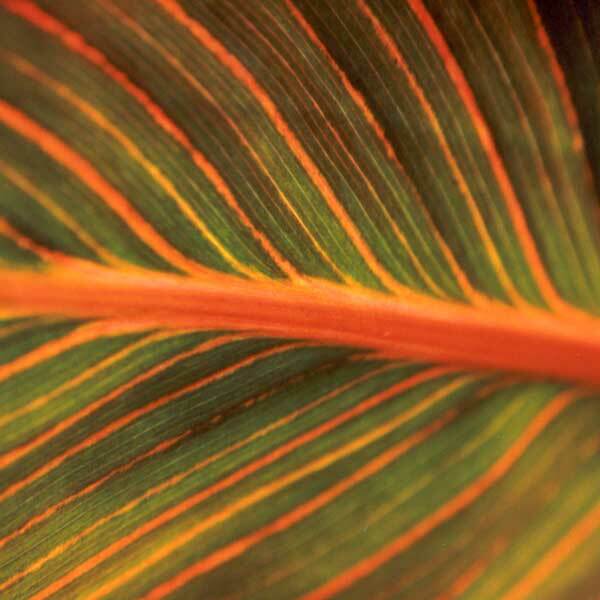 The stripes on the leaves are in detail mainly orange and green, but the effect from a distance is of the colours of a tropical sunset. My original plant has clumped out well in its short life here, and is soon to be divided up. I'm not sure of the correct spelling, either - is it 'Tropicana' or 'Tropicanna'? I've seen pictures in my favourite American gardening magazine of a cream and green striped variety called 'Pretoria'. This looks equally as beautiful as 'Tropicana' does, and I'm waiting for it to arrive in New Zealand. This time I might even pay go to a nursery and pay the regular price. 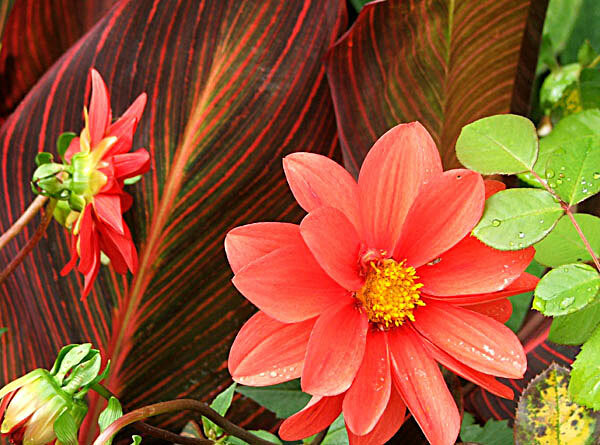 There are now two such light stripey cannas available in New Zealand - one called Bengal Tiger and a newer sport of Tropicana called Tropicana Gold.